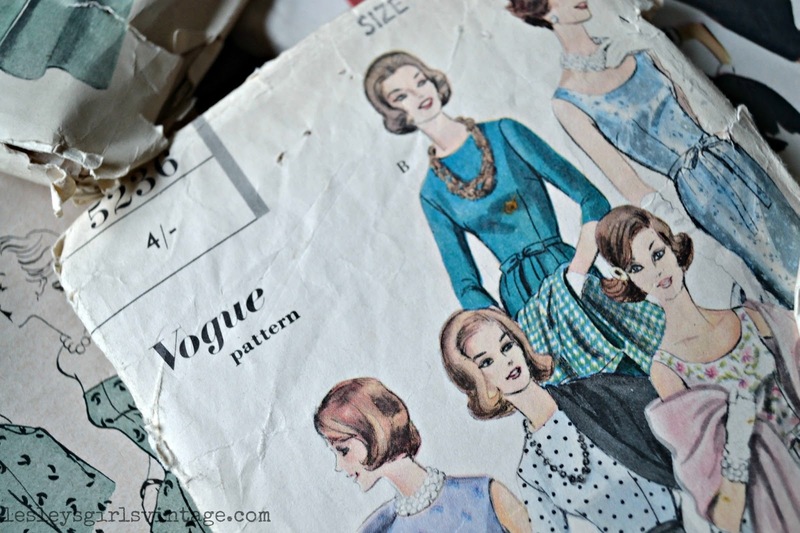 Lesley's Girls have been a bit quiet the last week on the here, but there is a great reason.... firstly we've been busy creating some fun for The Secret Vintage Fair, and building a new blog/website for it; and secondly we have received an enormous selection of vintage (and by enormous I mean about 5-6 huge laundry bags) to sell in the shop. This is some of the most beautiful vintage I've had the fortune to handle and I can't wait to start researching, steaming and listing. 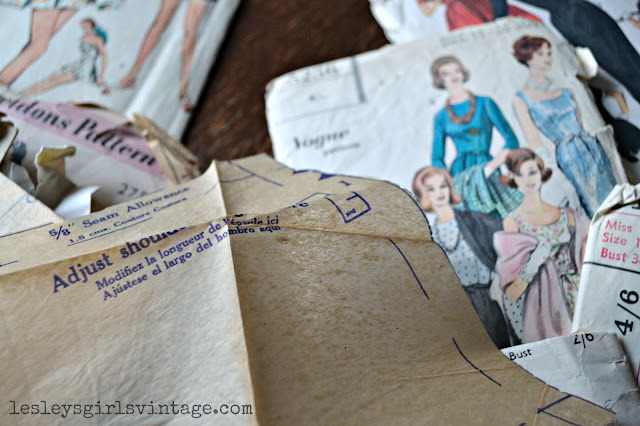 They are still in the office and yet to be unpacked properly and sorted, so in the meantime I thought I'd give you a little taster for what the clothes were like by showing you the quality of the sewing patterns. 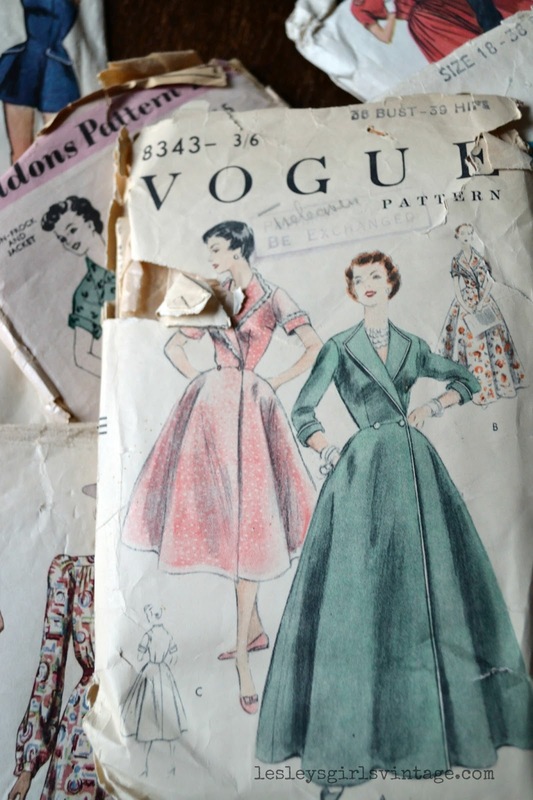 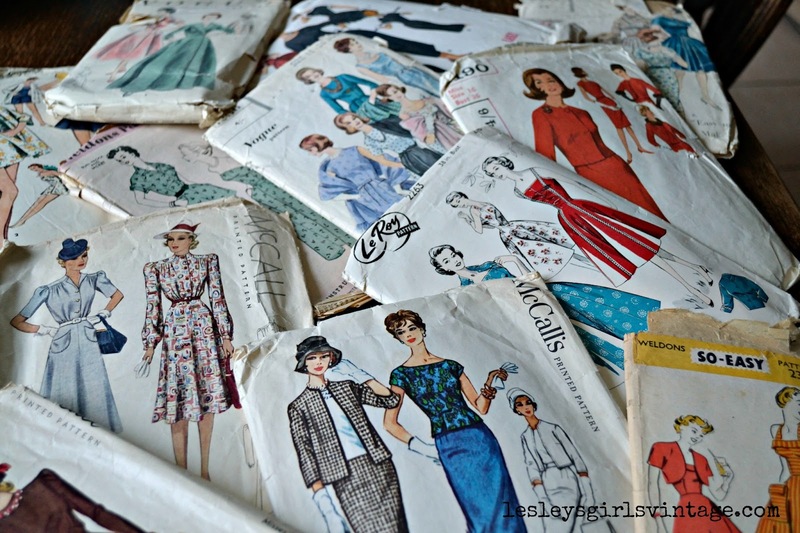 If you know us by know you'll realise I have a huge love of vintage sewing patterns. 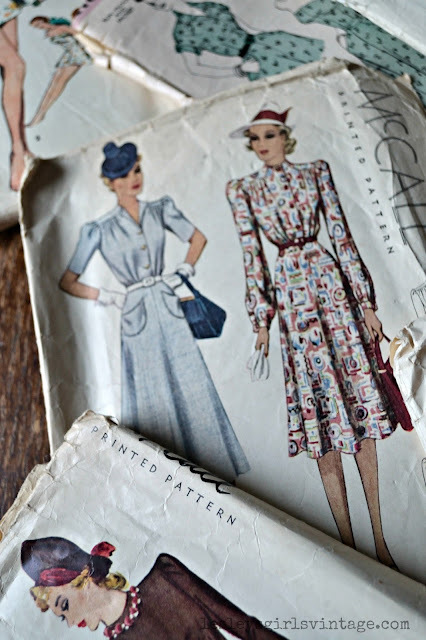 These patterns will be researched and catalogued onto the shop along with all the gorgeous clothing, which will make it's début at the Secret Vintage Fair on Saturday 30th March.